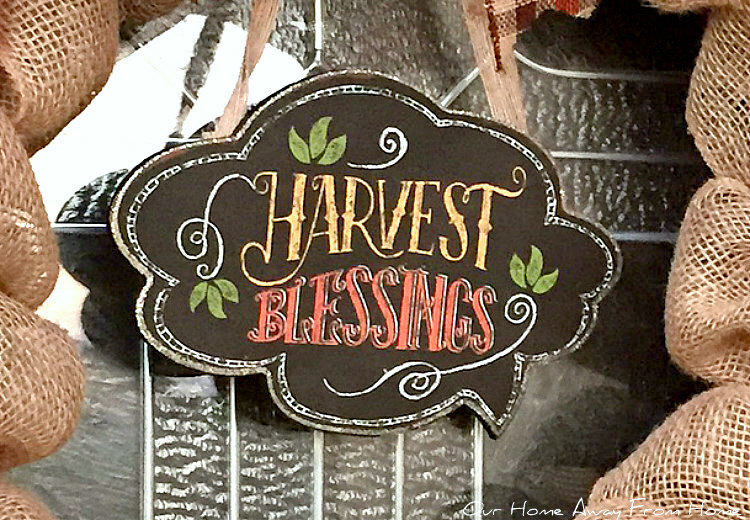 This year I opted to make a burlap wreath. These are the items you need to make one just like it. 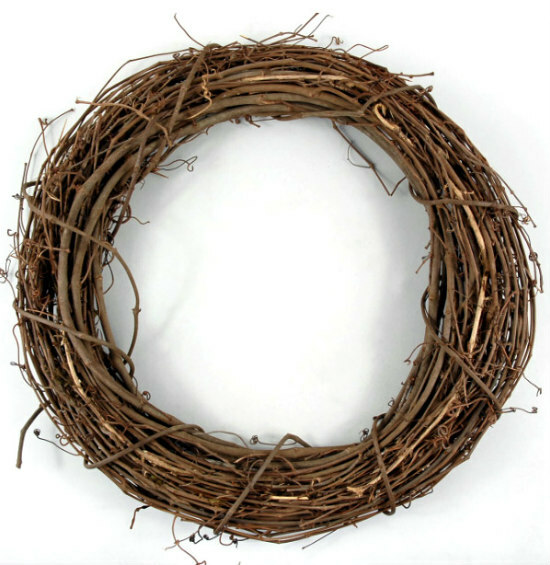 I used a 24" grapevine wreath. 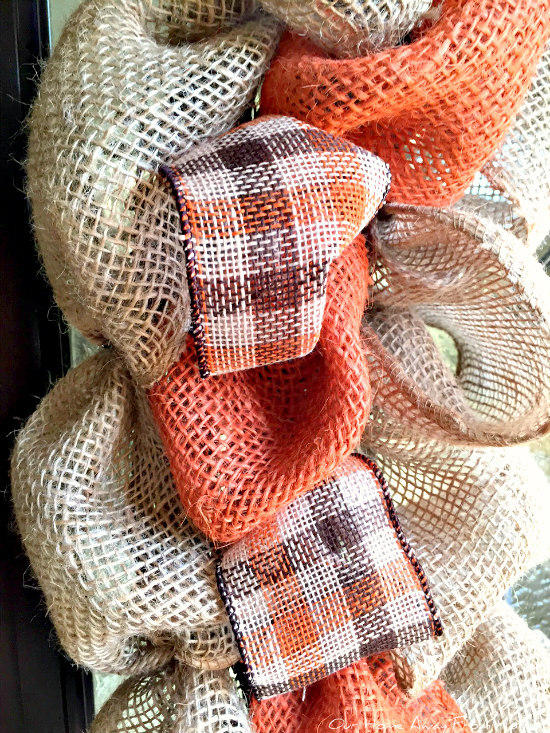 I bought three different burlap ribbons in orange, natural burlap and my favorite, the one with orange and brown checks. I found all these at Hobby Lobby at 50% off. The floral wire I already had, but you can find it at Hobby Lobby for about $1.99. I also bought the small Fall plaque at Kirklands for $5.99. 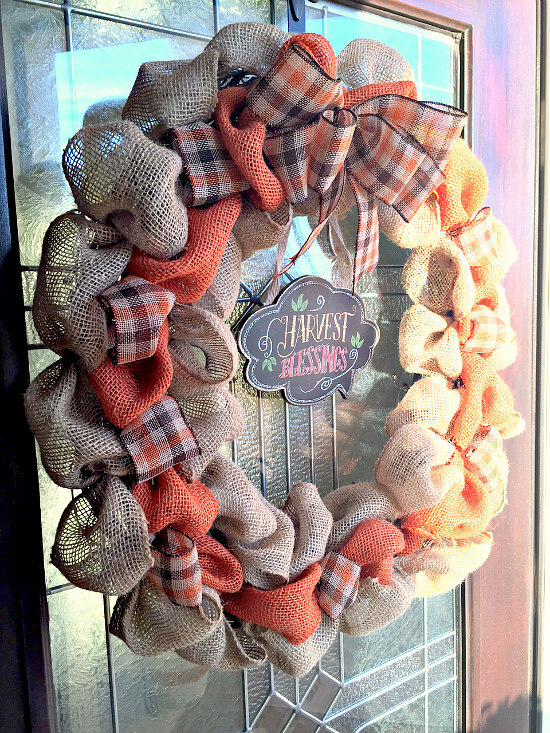 I used the natural burlap on the outside and inside of the wreath, the solid orange in the center and the multi color for the bow and a few pieces here and there. 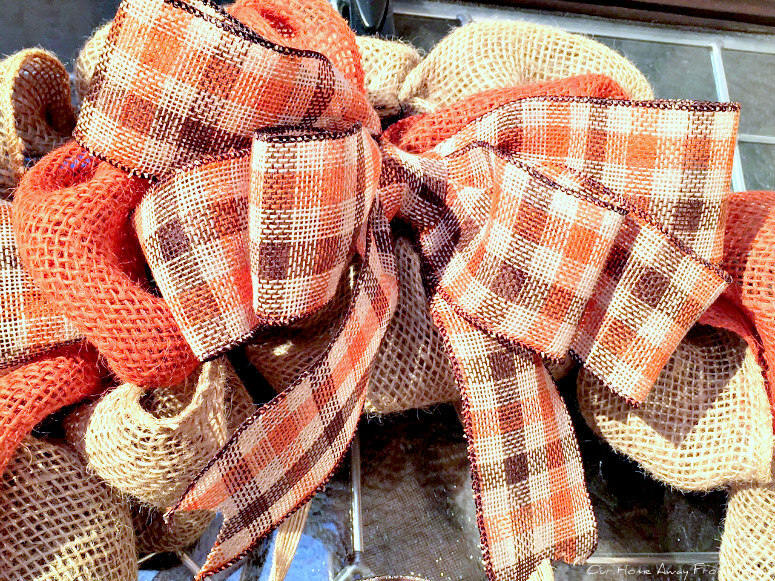 Just bunch your burlap ribbon, start making loops in any size you would like and attach it using the floral wire. Repeat until your wreath looks the way you like it. 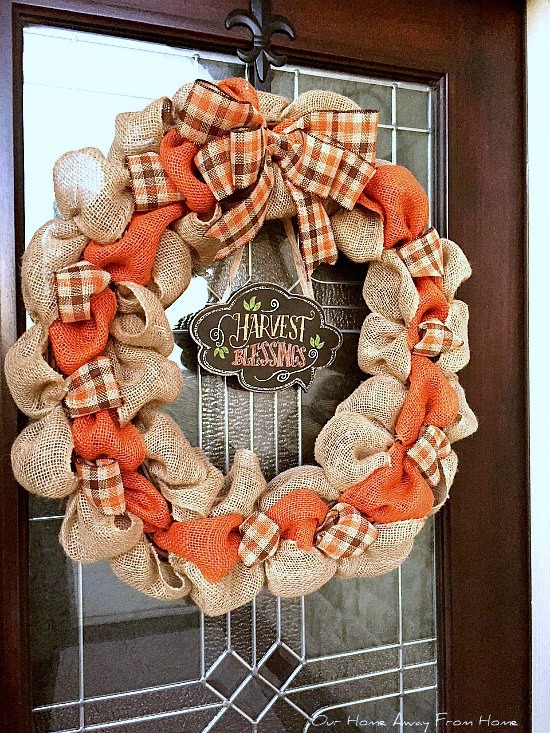 Make a simple bow, hang your plaque right behind it and you got yourself a cute wreath to decorate your door. 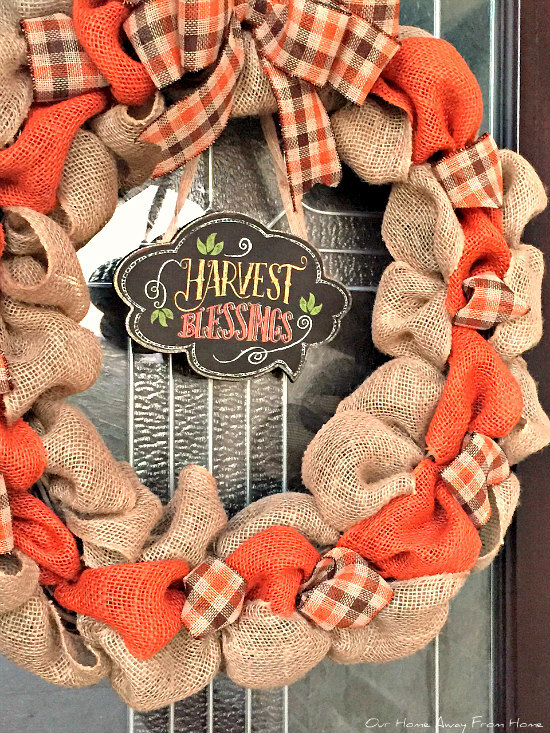 Our front porch is also simply decorated for Fall this year, but the wreath already gave it a little color. 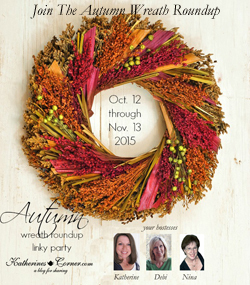 Total cost for me to make this wreath was $15.00 since I used a grapevine wreath I already had. 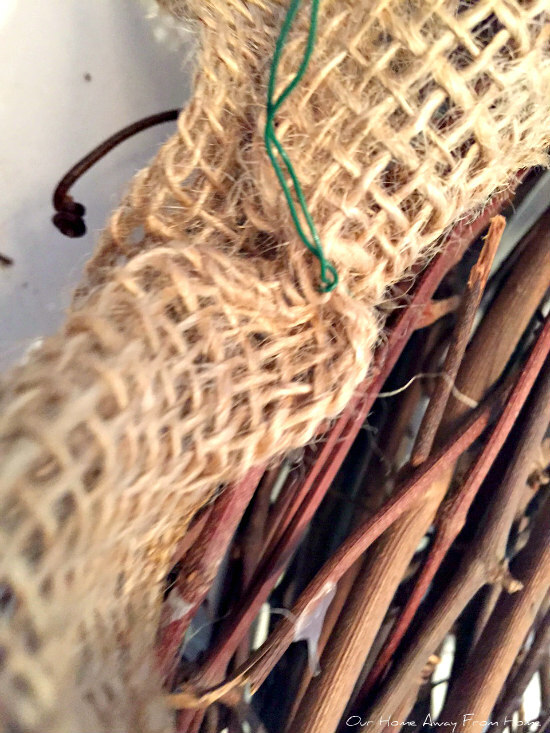 I hope this post gives you some inspiration and helps you make your own wreath. Ok I think I can do this! Thank you for sharing! Adorable MariaElena. I love the colors and I never knew how to get that bubbled look. Thanks for enlightening me! Very pretty, Maria Elena! You always make lovely wreaths. Great job, your wreath looks SO pretty! Thanks for sharing how you did it. 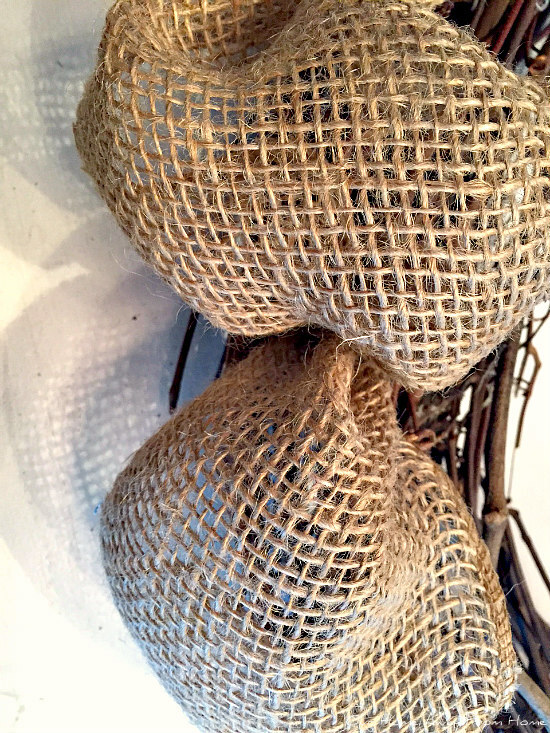 Looks wonderful - love that checked burlap! 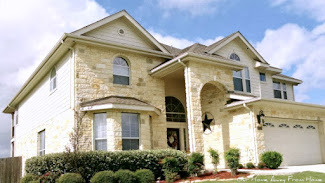 it looks wonderful. Are you saying to just bunch, twist and pin? I couldn't make a bow if I tried! You always do such a good job with your wreaths! 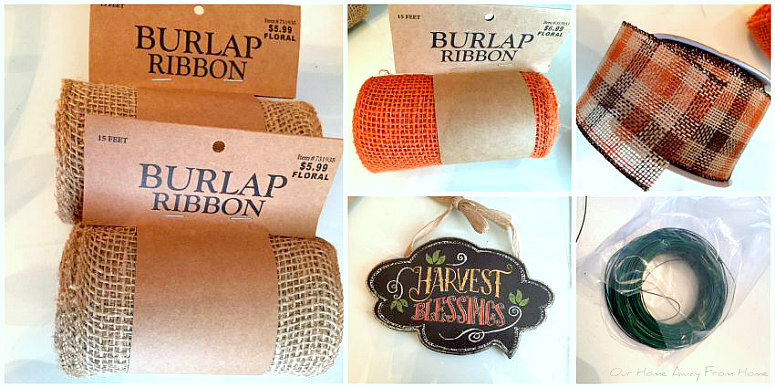 I love that Hobby Lobby has all the different colors of burlap ribbon now. What a cute little plaque you added too! Love it!